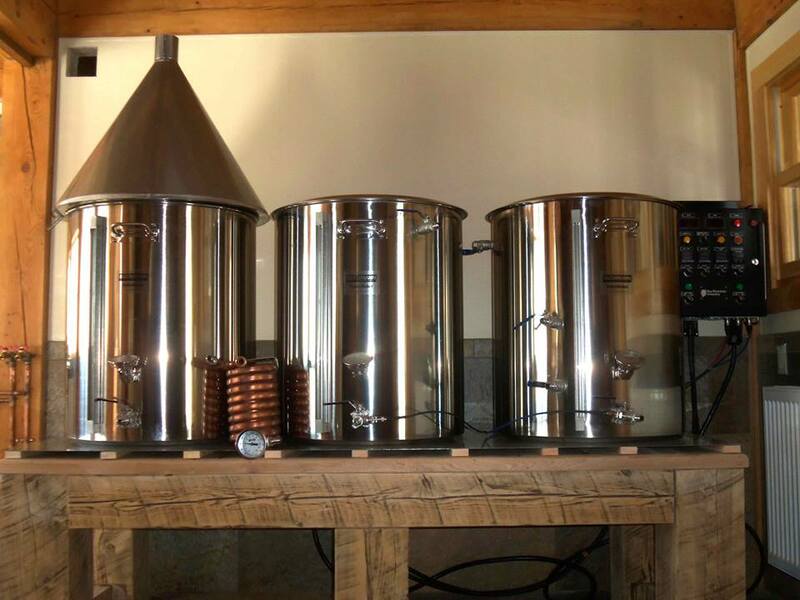 From this country’s very beginning, brewing was commonplace on farms. From the incomparable Oxford Companion to Beer: “Like many gentlemen farmers of his day, Thomas Jefferson’s estate included a brewery.” Radical Brewing, the highly regarded and entertaining source on the history and craft of beer, includes Jefferson’s recipe for “Plug Nickel”, Jefferson’s version of pale ale, and another for George Washington’s “Small Beer” (a recipe Radical Brewing, by the way, calls “crummy”). It was only the Industrial Revolution and improvements in the transportation of goods that spelled the demise of hand crafted, small batch beers brewed locally on farms, much as they spelled the demise of many farms themselves. This is all a long way around the barn to suggest that brewing beer was an integral part of agriculture as this country once knew it, as opposed to the agribusiness we see today. Nestled comfortably in New Hampshire’s Monadnock region, “the quiet corner”, Cheshire County suits us just fine. Craft, not crafty. We are farmers and brewers and we brew the same way we farm, with good intentions and honest ingredients, hands-on in the tradition of the Slow Food movement we passionately embrace. 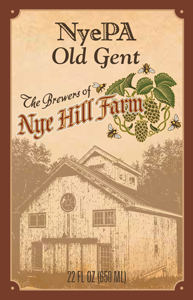 That movement, with all its rustic pleasures, inspires and informs much of what we do here at Nye Hill Farm, including what we’re doing in our brewery. Better meals, better beer, better life. For a community that we are thankful to be a part of. We are presently kegging and bottling the first in our series of NyePA’s. 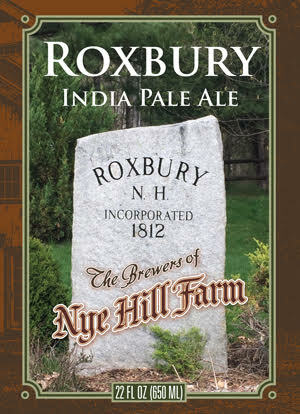 Our “Old Gent” American Pale Ale as well as our “Roxbury “ Double IPA are now available year round. 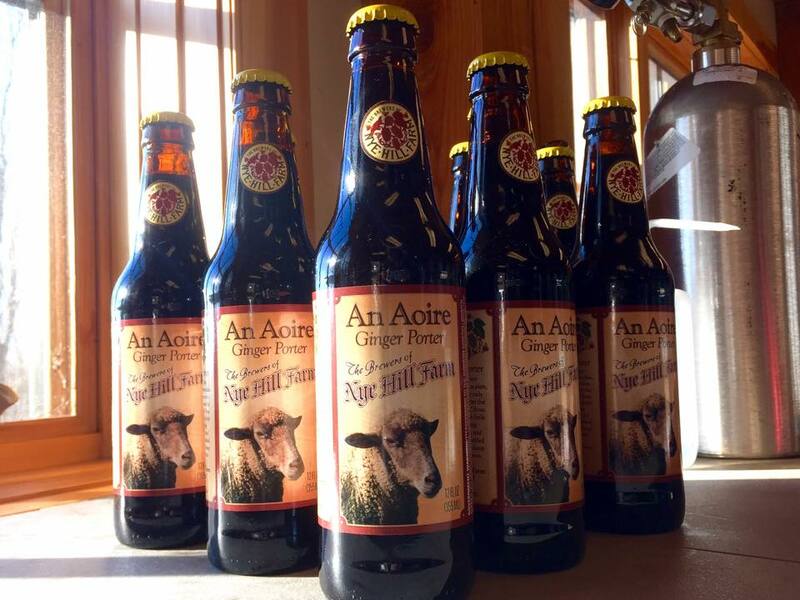 Our “An Aoire” Ginger Porter, our “Maple Homestead” Dark Mild Ale, our “Percheron” Maple Coffee Porter, our “Orchard” Honey Peach Blond Ale and our “Favreau” Farmhouse Ale as well as our “Favreau Dry Hopped” Farmhouse Ale are available seasonally. We are also brewing a signature beer designed exclusively for Fireworks Keene, our “Bonfire” Ale. Our availability is constantly expanding. 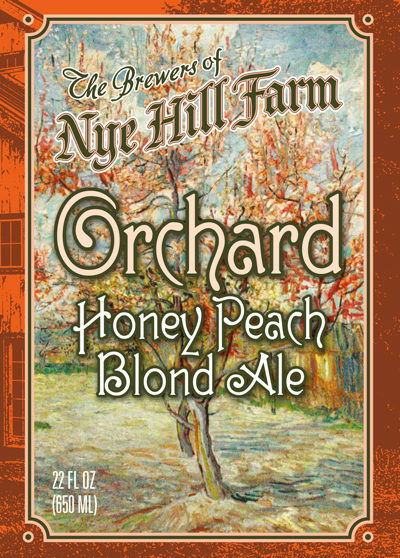 For the first in our series of NyePA’s, The Brewers of Nye Hill Farm chose six varieties of hops. While we love the bitterness of a hopped up Pale Ale, we wanted a beer everyone could enjoy, something not overly bitter. By adding hops late in the boil, we’ve brewed just that, an easy to drink pale ale. A beer for you, for your Old Gent, and for anyone else whose company you keep. Roxbury, Cheshire County. Home to Nye Hill Farm. Home to Schoolhouse #3, where Salmon P. Chase briefly taught in 1823 before moving on to become the Secretary of the Treasury and later the Chief Justice of the Supreme Court of the United States. Home to the Babbidge, Otter Brook, Woodward Pond and Stone Dams. Roxbury, “A Good Dam Town”. This Double IPA celebrates its history, spirit and sense of community. The Irish poet Flann O’Brien lauded porter, then known as plain, writing, “A pint of plain is your only man.” A few hundred years later the craft beer scene rescued “plain” from near obscurity, but today there’s little plain about it. Brewers are adding pumpkin, honey, vanilla, plum, and chocolate. At Nye Hill, we’ve added ginger and we think on a cold, damp Irish night, O’Brien would approve. Maple Homestead Farm, Marlborough, Cheshire County. One hundred acres of sugarbush. A sugarhouse built in the 1800’s. Wood fired evaporator, hand fed. Sugaring in a manner little different than that of Native Americans centuries ago. A tradition to be honored, on a farm honoring it. 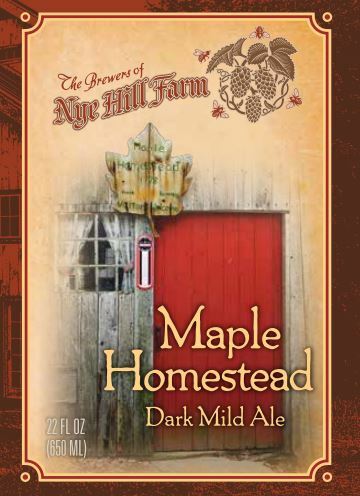 This hand-crafted beer honors both, the tradition and the farm, using pure maple syrup from Maple Homestead. Percheron. Draft horses known for their strong work ethic. Originally bred as war horses, today they are commonly found pulling carriages, or in logging, or, like here at Nye Hill, on farms. 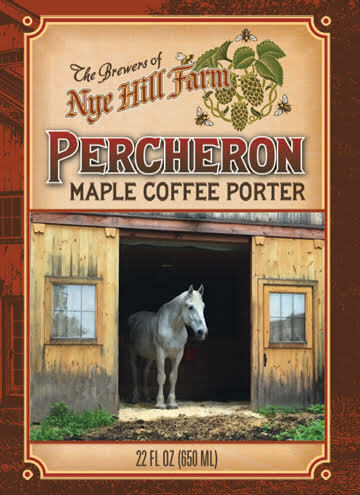 Using pure maple syrup from Marlborough’s Maple Homestead Farm and cold brewed coffee from Keene’s Prime Roast, we brewed this Maple Coffee Porter to honor the work ethic of the small farms and businesses of Cheshire County. 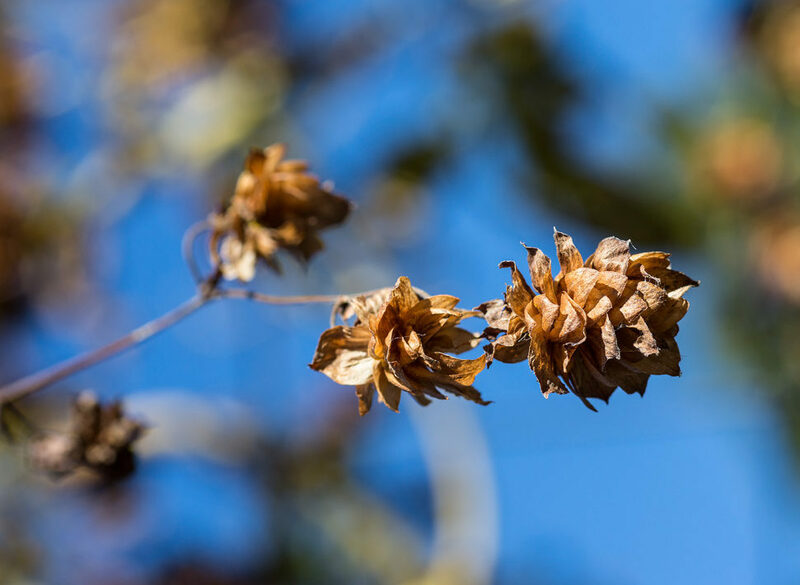 In Asia, where the peach originated, the tree’s wood was believed to ward off evil spirits and the peach itself was considered the fruit of happiness. In Europe, the likes of Caravaggio, Gauguin, Cezzane, Manet, and van Gogh painted peaches in their still lifes. 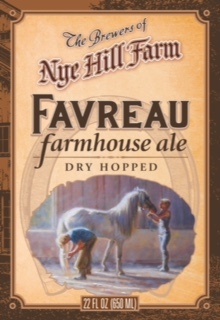 Here in New Hampshire, at Nye Hill, we’ve put them in our beer. Certified organic peaches, a honey malt adds a hint of, well, honey. Summer on the farm. Favreau. French diminutive from the Latin word Faber, meaning Blacksmith, a highly skilled artisan who forges objects from wrought iron or steel. With a slight hint of smokiness, this Bière de Garde celebrates the spirit of the blacksmith. The addition of apples celebrates the spirit of the farm. 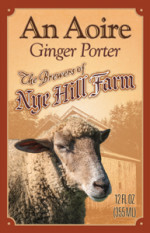 Our Nye Hill Farm “house ale,” celebrating the spirit of life forged in lasting friendship. Also available in our Dry Hopped version for those who enjoy a slightly hoppier flavor.